The Scottish Bonsai Association (SBA) was formed in 1979. 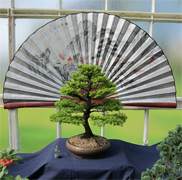 Our aim is to promote interest and participation in the art and culture of Bonsai in Scotland. We meet regularly at venues across Scotland and also have an online members group for those members not close to one of our venues. Come to see us at the SBA National Exhibition and at Gardening Scotland. Meet our members and see our bonsai trees, both of these major bonsai events are well attended by Scottish bonsai enthusiasts, bonsai experts and members of the public. There are demonstrations by bonsai practitioners with years of experience. Find out more about SBA bonsai events and our area groups by using the navigation menu on the left. View images of our members bonsai trees and Scotland's National Bonsai Collection by clicking on the Bonsai Image Gallery, or by joining the SBA to give you access to the Members' pages where you will find more information about Area groups and members-only events. Learn something about bonsai - The A to Z of Bonsai Terms. Click the menu item on the left of the page to learn something new about bonsai. We are compiling the A to Z of Bonsai Terms database. The A to Z is written collaboratively by the people who use it and we would like to encourage everyone to contribute to what should become the worlds greatest encyclopedia of bonsai terms. Entries when they are made will be added to an editable list which will be checked prior to publication. Photos and images of the bonsai term can be added and links made to relevant web pages. So if you would like to help then just click here to "Add Your Own Bonsai Term" There is no need to log in, join or sign up for anything. Just add your term to our growing free resource. The SBA National Exhibition is held in May each year, all the Scottish Bonsai Association groups have a display of their bonsai trees. Gardening Scotland has a bonsai competition with classes for different types of bonsai, it is held at Ingliston showground in Edinburgh in early June, and for the last three years there have been over a hundred bonsai trees entered, as well as a display from the Scottish National Bonsai Collection which regularly wins medals. 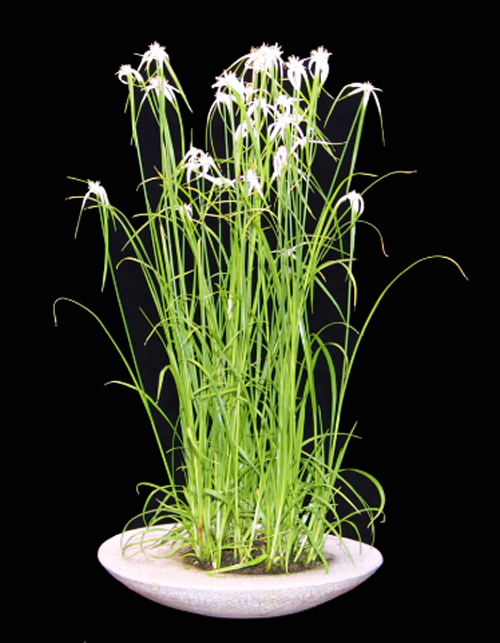 SBA groups have displays at Ayr Flower Show, and our members enter their local flower shows, such as Dundee Flower Show, as well as shows further afield, like the Newstead Bonsai Show, and the British Shohin Association events. Members pages are a meeting place for like minded people who have joined the SBA, there are discussions, forums, ideas, the monthly newsletter, personalised pages where people can show off their bonsai trees, share their skills, or volunteer to help at bonsai events. Click here to join the SBA.